Whether you’re creating or updating your about.me page, selecting the colors for your page can be a daunting task. Choosing the right color palette directly impacts how effectively you communicate the information on your page. But it doesn’t have to be so daunting. Here are some answers to your questions about choosing colors for your page. How many colors should I choose? While this is a hugely debated question, a good number of designers recommend using three main colors on a website. The platform currently enables you to choose a color for your Name, Headline, Bio Text, Links, Page Background, and Bio Background. We recommend choosing one color for your Bio Background and a second color, which contrasts with your Bio Background, for your Name, Bio Text. Finally, we suggest selecting a third color (which also contrasts with your Bio Background) for your Headline and Links. This will make them stand out. How do I find colors that go well together? There are several different color rules you can follow when trying to find complimentary colors. 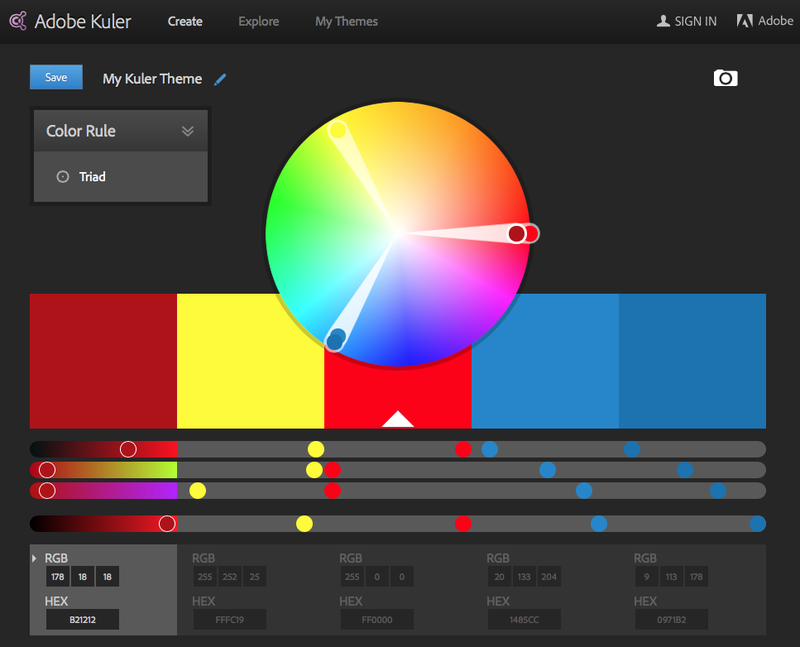 Some of the easiest tools we’ve found are sites like Adobe Kuler that help you choose complimentary colors when you start by picking one color on the color wheel. Are there tools on about.me to help me choose the right colors? Yes! 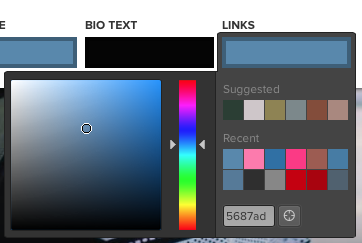 Our Color tab in the Edit Page panel can definitely help you pick the right color. Simply click one of the color boxes and our helpful color selector will pop up. The color selector has several suggestions based on the colors in your background image. You can also use the circular color picker button (right next to the color number) and you’ll be able to hover directly over a part of your background image to select that specific color. How do I evoke a certain emotion with the colors I choose? Of course! If you’re looking for examples of pages with great color palettes, check out our team’s collection of Pages with Amazing Color Schemes.